These are the 10 must-have Items for your RV kitchen. 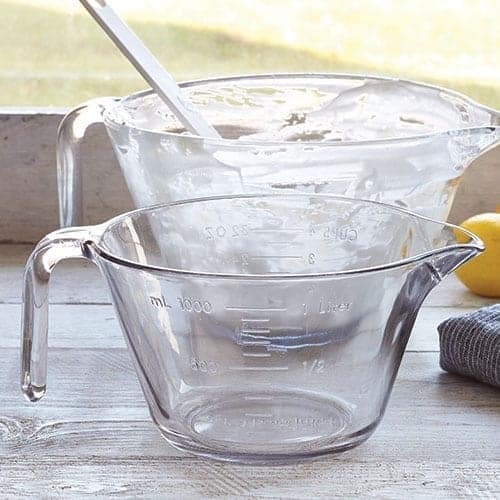 These items will help you be able to cook all the things you like to eat without sacrificing precious space to do it! Cooking in a small space can be challenging. But shopping for new spacing saving gadgets can be fun! These 10 must-have items for your RV kitchen are things I can't live without. We have been living full-time in our RV for the past year and these items are used almost daily. I LOVE MY INSTANT POT! Yes, I’m sorry I yelled but I am super excited about this item in my cooking arsenal. 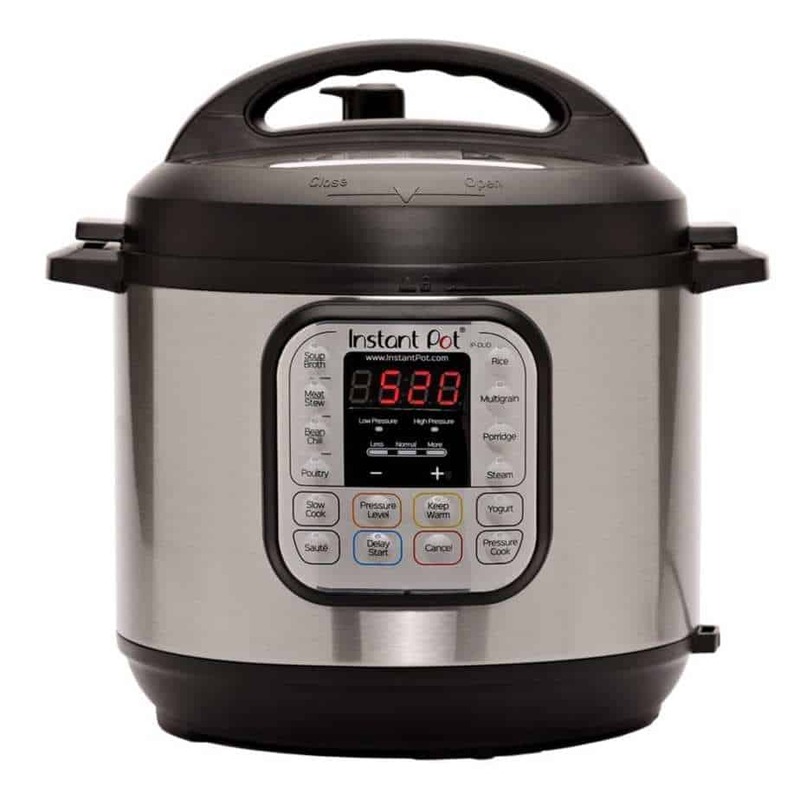 It is so versatile….it’s a pressure cooker, slow cooker (crockpot), yogurt maker, rice cooker, sauté pot and food warmer. There have been days when I cook that I only use this pot to make dinner. Food tastes better, cleanup is easier and it serves so many purposes that it is a must have to fit somewhere in your RV. The pressure cooking function is new to a lot of people so I recommend this cooking series on pressure cooking from Laura at Hip Pressure Cooking. 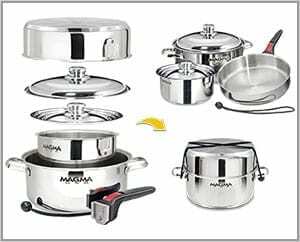 This helped me understand the pressure cooking variables and gave me lessons to do to get comfortable using it. You can literally search the internet for anything you want to cook and put instant pot after it to get someone’s version of it! A colander in the kitchen is a must-have. However, this is usually the most unwieldy item to store. That is why I love my collapsible colander. It folds flat for easy storage, doesn’t stain and is easy to clean. My first one had a handle. I much prefer the round one, it’s easier to use. OK…let’s be real here…..pots and pans in your RV kitchen are necessary but a complete pain to store! Sure you can store a few smaller pots, but if you live in your rig full-time you will at some point need bigger pots to cook in. My rig had an induction cooktop when we bought it. I had a set of very expensive Al-clad pots and pans. They were induction cooktop ready so at least I didn’t have to buy another set. I moved them into my RV and my handles were constantly getting stuck! AUGH! They were also so massive that I couldn’t store them as a set. Finally, someone told me about the Magna pots. These Magna pots and pans are designed for RV/Marine living. They have removable handles and nest all together in one pot and can be bungeed together! These pots are amazing. Read the reviews on Amazon. People were saying how they even bought them for their house cook set after they used them in their RV! I bought my set and sold my Al-Clad on a Facebook yard sale site. I sold my very expensive set for enough to buy the Magna pots. I am thrilled! They fit beautifully where I store my pots and pans and cook extraordinarily well. You can choose between a regular set and an induction ready set. 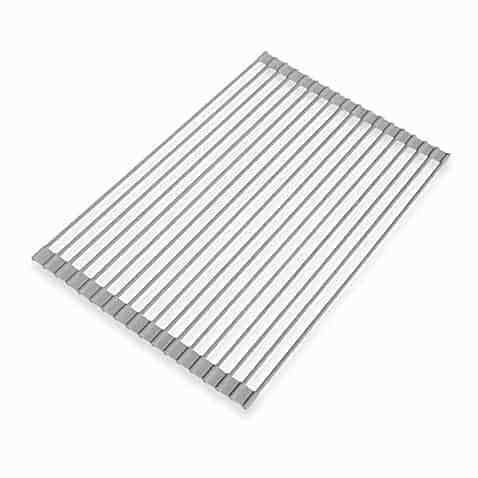 I suggest you get the induction ready set even if you have propane because you might someday change out your cooktop or add an induction cook plate to your kitchen arsenal. I like my Nutribullet for many things. I have a big RV and actually have my Vitamix blender in my cabinet….but in the last year, I have never used it. I always use my Nutribullet. It makes smoothies, salad dressings, soups, salsas anything I can think to blend up, it does. It is much smaller to store and easier to clean. Rectangle and square containers for airtight storage are very helpful. Square/rectangle is easier to store and organize than round. They fit nicely in your cabinets and keep clutter (open bags of nuts, flour, chocolate chips, etc.) organized. I have these storage containers and have found them to be good quality and useful. I have an awesome spice storage solution in my RV. This was an additional custom item that the previous owners put in. I so appreciate this feature. I have included the picture of it here in case it inspires you to build one yourselves. However, I know a lot of you struggle with where to put your spices. When I had my smaller rig, I know I did and there are only so many bottles of spices you can store. 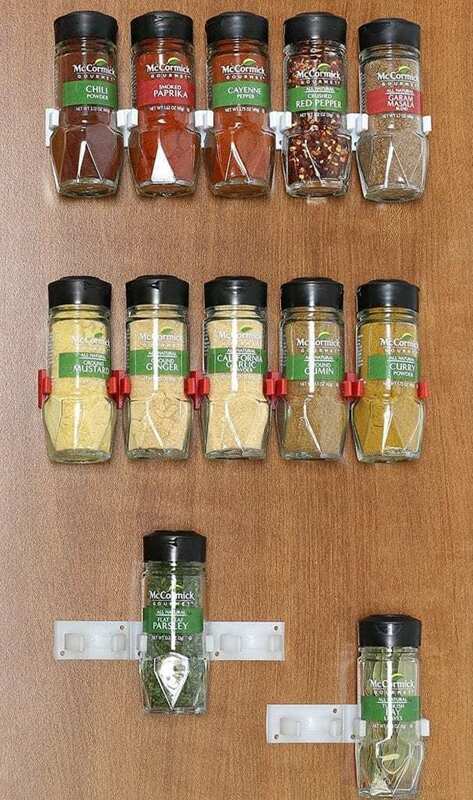 I came across this nifty spice storage solution that I thought looked great. I wanted to offer it here to view as an option even though I haven’t vetted it yet. If you try this one, let me know how it worked out for you! I love Norwex. They are a company that manufactures and sells high-quality microfiber cloths for any cleaning function you can think of. What I particularly like about them is that they help me eliminate the need for storing cleaners in my RV. Who wants to waste storage on bottles of cleaners? Everything I need to clean my RV can be folded into a basket and stored in a cabinet. My daughter sells Norwex and does Facebook parties to help people earn their cloths for free. I will give her Norwex webpage here for more information. I had a party to get most of my Norwex for free. People seem to love them…I know I do. It’s a green, sensible way of cleaning that doesn’t harm you or your family. I have to say that we have been through our fair share of coffee makers. We have had a Keurig, an espresso machine, a Starbucks type pod machine. After all the coffee drama, we now use a French press. 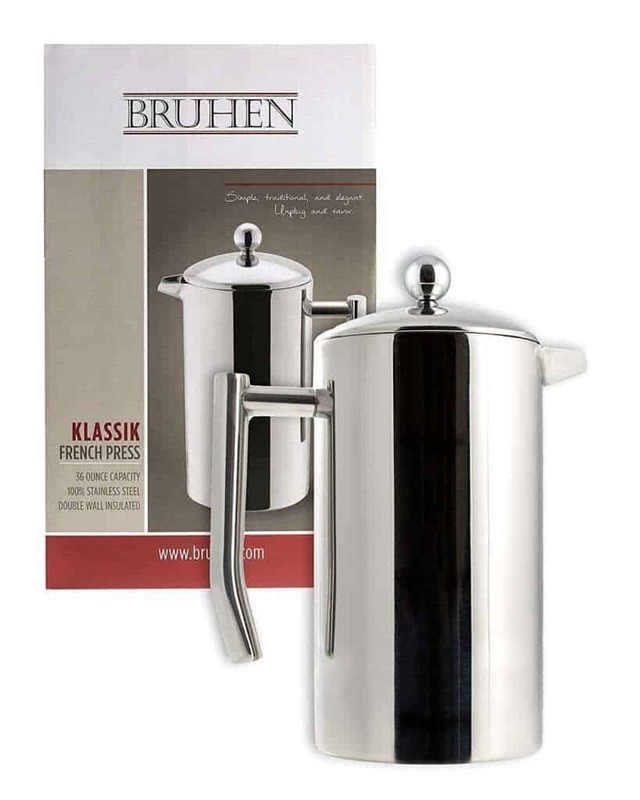 If you have never tried coffee from a french press, I think you are in for a treat. They are surprisingly inexpensive, easy to brew, easy to clean and easy to store. No fuss here…just good coffee taste. Please share your favorite items that you can't live without! Post them in the comments below and help us all find cool things to make our traveling lives better! I am currently using the “broom handle holder” spice holder method on the inside of a cupboard door. I like it but my husband does not. I love that the spices aren’t taking up valuable shelf space and are easy to find. The downside is that you have to open and close the door very gently or some of the spices fall out. Nice hack! thanks for sharing!! Glad to see you use Norwex!! 🙂 My daughter got me hooked and I just love the fact it takes up so little space! I’ve had mixed results with the spice holders. One issue was “fatter” spice jars stretch out the holders so they don’t hold well. And glass spice jars are too heavy. I finally bought plastic jars with an “indent” (similar to McCormack brand plastic jars) and labeled those myself and they’ve worked well. that is what i’m looking for too-where did you find them?? For Camper spice storage, get those stacked pill holders at the dollar store. Store seven spices, refill when you need to. PERFECT. 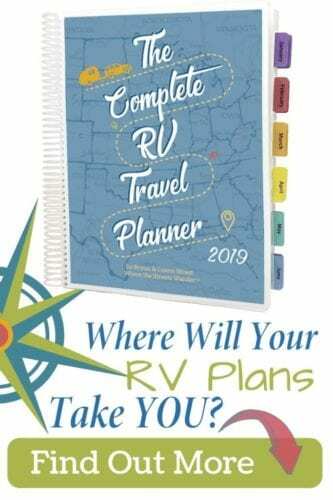 I love these types of solutions for our everyday RV space problems! Thanks for sharing! I have seen this suggested before. What do u do with the rest of the bottle? Do you stash it some where else till u need a refill? Instead of bottles, I buy my spices in bags/pouches. That way they’re easier to seal up and put into dry storage, and refill my day to day container. I have been giving this some thought. The idea I came up with is having a ‘get to know you,’ spice exchange. dont have to store any but what you need on hand. I would purchase some small bottles on line for sharing and even a small zip loc bag would do the job. you have made some new friends and shared spices at the same time. I have found instead of using valuable space. I got magnetized tins and stored them on the outside of my cabinet. Saves space and looks really cool and there right there in front of me when I need them! That is a great idea! I’m happy you have found a solution that works for you and thanks for sharing it! That’s what I do too, but on my fridge door. How do you clean your French Press? I have one and I find getting the grounds out to be the most annoying thing… Is there an easy way? I pull mine apart and put in in the dishwasher. If you don’t have a dishwasher, just pull it apart, wash it and let it dry before putting it back together. It should unscrew into pieces. Hope this helps! We have lived full time RV for over 3 yrs. I took my spices and used the jelly and pint size mason jars. In our 1st rig I bought magnetic strips from ikea. My husband mounted them under the cabinet. Neat uniform and out of the way. When we got our newer rig I have drawers to put them in. Most any spice will fit into these 2 size bottles. Jackie, I use this strainer from Amazon http://amzn.to/2BFHgfU for my sink and it works wonderfully. You still might get a little that go down but there is enough water to flush it through. Hope this helps! Hi, just realized how old this post is but thought I would share anyway. Spices; I have a big enough backsplash in our kitchen area where I have the room. 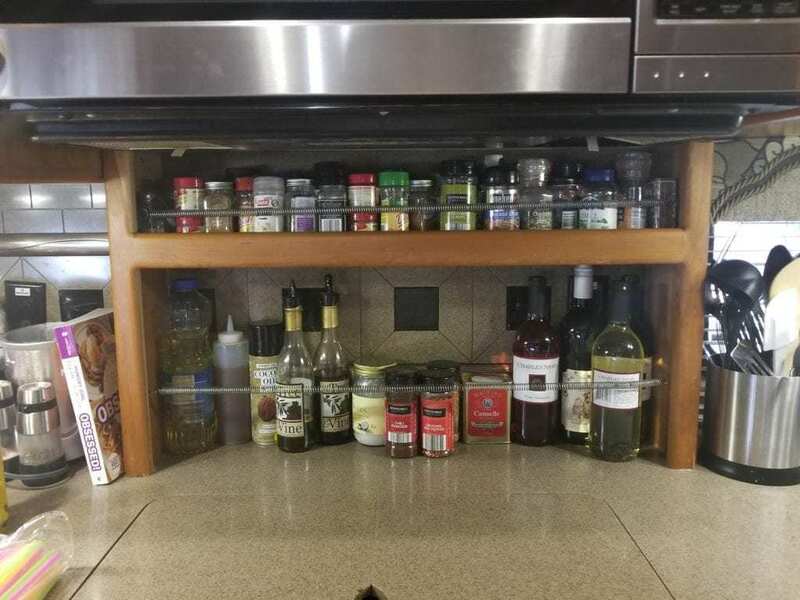 I permanently mounted (4) wooden spice racks (from Camping World) and all of the common sized spices fit fine. above the stove hood we have a big shelf (came as part of the kitchen cabinetry) that we put all the bulky seasoning containers (such as BBQ seasoning and such.) works out perfect. As far as your instant pot goes; good idea if you only need it for one thing at a time. We literally have rice cooking every day, so we have a dedicated rice cooker. they come in different sizes and ours is medium / small. we also have crock pot, pressure cooker, rotisserie, George Forman grill, waffle maker, toaster oven….. the list goes on. I think if you only have multifunction equipment, it’s like putting all your eggs in one basket. if you drop the basket all your eggs break and nothing to eat. We like options and we are lucky enough to have places to store all of our appliances. 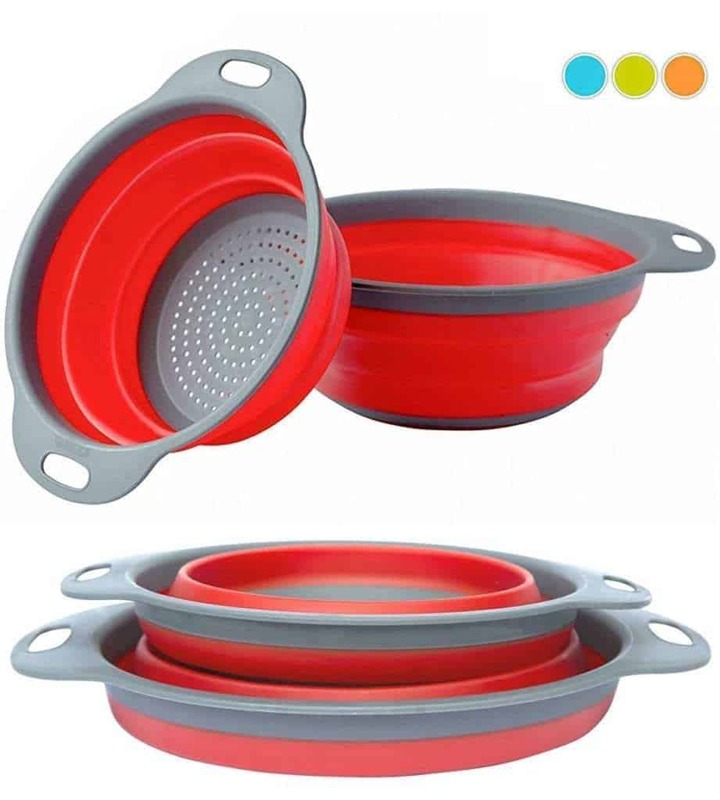 Collapsible Colander; I like this idea. this weekend we are getting one or two. tired of the bulky one we stuff into the corner cabinet. 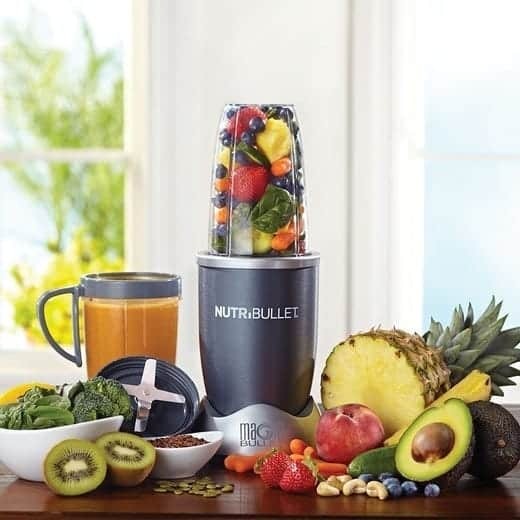 Nutribullet ; my wife has the RN model and loves it. We use small set of measuring cups and spoons. as far as a drying rack, I sized down a stainless steel rack that fits nicely in the bottom of one of the kitchen sinks this not only saves counter space but also stays there permanently. Coffee press ; I have heard mixed emotions about them. yes we have a Keurig 2.0 and I modified a cabinet into a bar I installed power AC & DC, (2) roll out shelves and mounted the coffee maker on one and the portable ice maker on the other. we leave my custom built bar top / door down to be used as counter space and which ever you like you pull out that slide and help yourself they are always on. we do have a stove top percolator pot as a back up. (in case there is no electric available) did I mention we have been full-timers for about 8 years now. staying put till the wife retires. then we are on the road. in the meantime, I have been remodeling our 2014 36-1/2′ 5th wheel. when it is time to roll we will be ready. happy travels. almost forgot, we also commonly use paper cups for all drinks and paper plates, as a matter of fact, we only have 6 plastic plates we only use to support the paper plates never eat directly off them. ok then, happy travels. Gregg, Thanks for sharing! It’s really cool to see people’s evolution as they discover what works best for them. Sharing ideas and options keep us thinking and reevaluating how it’s working in our own unique situation. I am always discovering things to tweak and change. Thanks again for sharing….Happy Travels! Greg, what toaster oven did you get? I can do anything but bake in my a frame, so was thinking of getting one. Target has the convection,tosster,baking oven and I love it.the dollar store has the small bakeware to fit in mine. Love,love,love it. You will too. Now I need the pressercooker,combo and I will be happy. 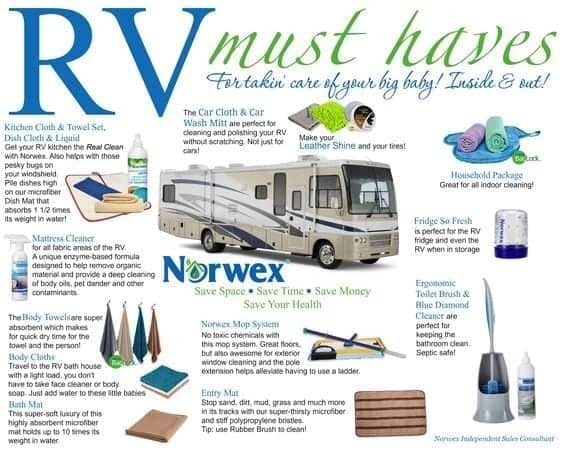 What Norwex items do you use to clean the inside of your rv. 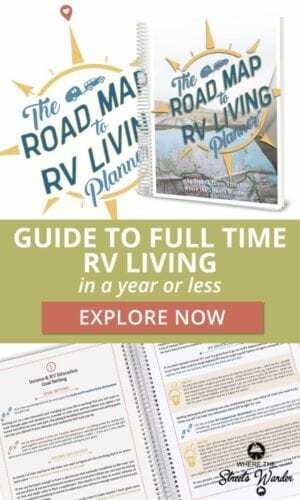 Just purchases a travel trailer and I’m not sure what I can and can’t use. I have a 3 of enviro cloths and a window cloth and a dust mitt. Those are my must-have items from Nowwex! I can clean my whole RV with them and throw them in the wash and start over. The cleaning paste is nice but if you keep up with using your enviro cloths consistently and don’t let grime build up too much…you don’t need the paste. A thing I love about the dust mitt, is that it doubles as a sand remover when we go to the beach! I bought another dust mitt to keep in my beach bag…it removes sand so well. You can pretty much use anything in your RV but start with what I suggested and then build an aresenal based on your cleaning style…but those three things are essential and will do most of the heavy lifting. Hope this helps! Thanks! We appreciate the feedback! We love to share! Im retiring in 5 days from 28 years teaching high school math. I have the truck, the RV and the dog. 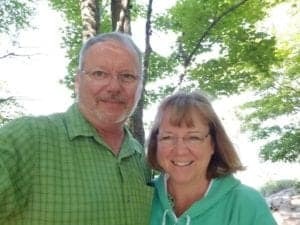 Selling the house and living in the RV. I really appreciate the lists of must haves and the input from those who have discovered new ways and places to make life easier. Im handicapped so any and all ideas are stored away for “will this work for me?” Thanks again! DeAnn, Thanks for the nice feedback! I am glad you are making your dreams come true and feel privileged to be part of the journey! Happy travels & Congratulations! I use the spice on the back of the cabinet door method. It allows us to have a full selection of spices with us and it doesn’t take up any shelf space. The downside is that if the cabinet door is not opened and closed very gently, some of the spices fall out. I rarely ever have a problem with it, but it happens regularly for my husband. Husbands are exceptional in the amount of force they use to do most everything! 🙂 Great tip! thanks for sharing!